A lawn tool is used to tend to a lawn or garden. These can also be used for agricultural or horticultural purposes to make certain activities easier and safer to do. Without these tools, lawn activities such as cleaning the garden, tending to plants, or landscaping would be difficult to do. Lawnmowers are important tools to have if you have a lawn. These are the ones that cut the grass in your lawn so that it won’t be overgrown. These are essential in maintaining the ideal length of grass. 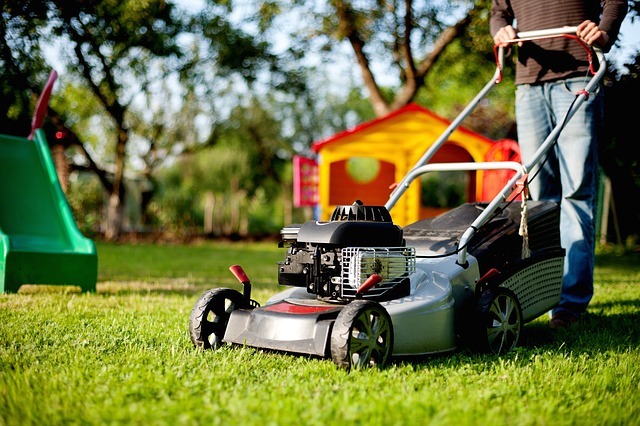 There are different types of lawn mowers available, these are electric-powered mowers, battery-powered mowers, gas powered mowers, and the reel lawnmowers that you just push for its cutting mechanism to function. Every home should have a lawnmower because these are the easiest way to trim your grass. You might have experienced how tiring it is to manually cut your lawn’s grass using grass scissors. With the use of a lawnmower, you don’t have to worry about any of those. String trimmers are very important in cutting grass that is located in hard-to-reach places. Lawnmowers are efficient grass cutters. However, their reach and scope is limited to open spaces. In order for you to have an easier time reaching those crannies and nooks, what you need to have is a string trimmer. These feature a long stick-shaped body which is specifically designed for very long grass and cutting grass in tight corners. The nylon strings found on its tip is the one which acts as the blade that trims the grass. These then rotate at high speeds. So even though they’re just soft nylon strings, they can still pack a lethal punch when they’re rotating at high speeds. A turfing iron is another important tool to have if you have a lawn. Turfing irons are what you need if you want to remove turf from a certain location in your lawn. These can easily slice through turfs because of its oval-shaped tip. It’s also pretty good in removing the clinching grass roots at its bottom. The sharp point found on its edge is what enables it to cut efficiently. What’s great about these turfing irons is that they’re not just for dealing with turfs but the can also be used to transfer or remove soil or perhaps transplant them to another location. Then there are the half moon cutters which are what you need if you want to create crisp and sharp edges on your turf. It features a half moon shape making it easy for you to slice through any kind of turf. But what makes this different from the turfing iron is that it slices turfs in a very straightforward manner. This is made possible thanks to its blade and downward chopping motion. Leveling rakes are also called as landscape rakes because they're very efficient in doing landscaping tasks. They usually have wooden heads, but the premium ones have heads made from stainless steel. This is what you need to use if you're going to level off the soil.